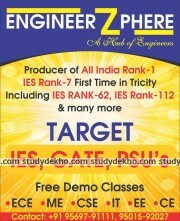 ENGINEERZPHERE - SSC JE Coaching is set up in Sector 34-A, Chandigarh. The institute provides coaching for GATE examinations. The institute is led by experienced faculty with the aim of achieving excellence in the field of education and has shaped the lives of thousands of students. The institute helps the students to understand their potential and achieve their goals. ENGINEERZPHERE - SSC JE Coaching provides them study material and test papers helping them to evaluate their standards and work on the sections they lack. ENGINEERZPHERE - SSC JE Coaching also provides the necessary resources to enhance the knowledge of their students. 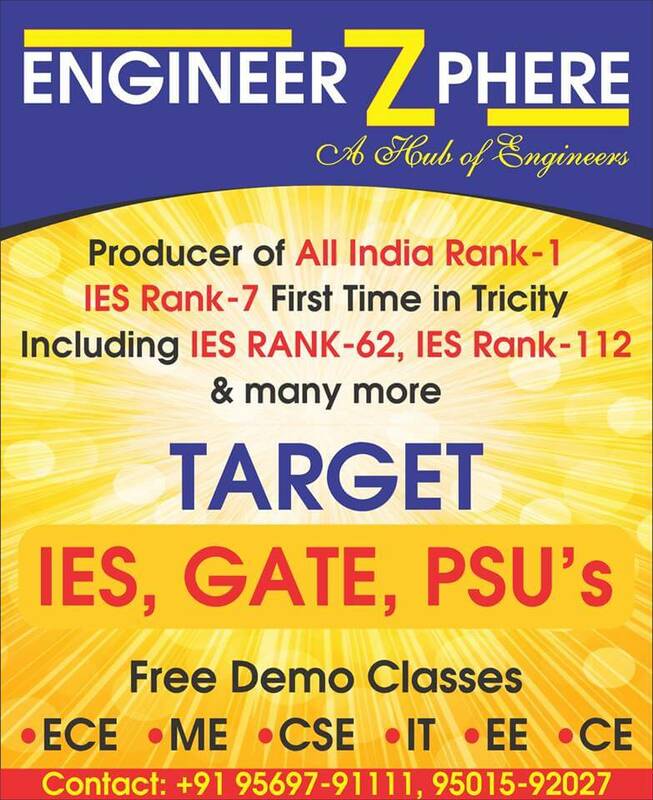 ENGINEERZPHERE is the best coaching institute for gate and ESE preparation in the north region Chandigarh. All faculty members are very helping and they more focused on improving basic fundamentals of every students. Excellent faculty and complete depth of concept and good study material Regarding SSC JE and GATE Exam. Best Institute of GATE-SSC JE Exam coaching in Chandigarh. All The faculty are very cooperative.